This book seeks to demonstrate how rules not only guide a variety of practices within international politics but also contribute to the chaos and tension on the part of agents in light of the structures they sustain. Four central themes- practice, legitimacy, regulation, and responsibility- reflect different dimensions of a rule governed political order. The volume does not provide a single new set of rules for governing an increasingly chaotic international system. Instead, it provides reflections upon the way in which rules can and cannot deal with practices of violence. 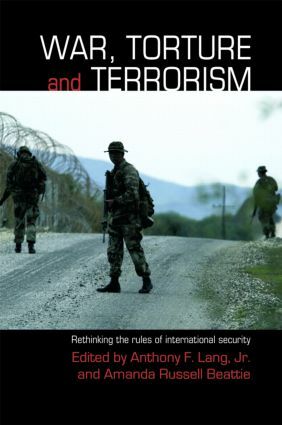 While many assume that "obeying the rules" will bring more peaceful outcomes, the chapters in this volume demonstrate that this may occur in some cases, but more often than not the very nature of a rule governed order will create tensions and stresses that require a constant attention to underlying political dynamics. This wide-ranging volume will be of great interest to students of International Law, International Security and IR theory.